Lady Pancake and Sir French Toast are the best of friends until word gets out that there's only one drop of syrup left. Only one of them can enjoy the sweet, sweet taste of victory. Off they race down the contents of the fridge in a ruthless race! Will their friendship survive? First of all, this book is written in rhyme. This can be hard to do! But I will say now, Funk is totally successful with his prose. 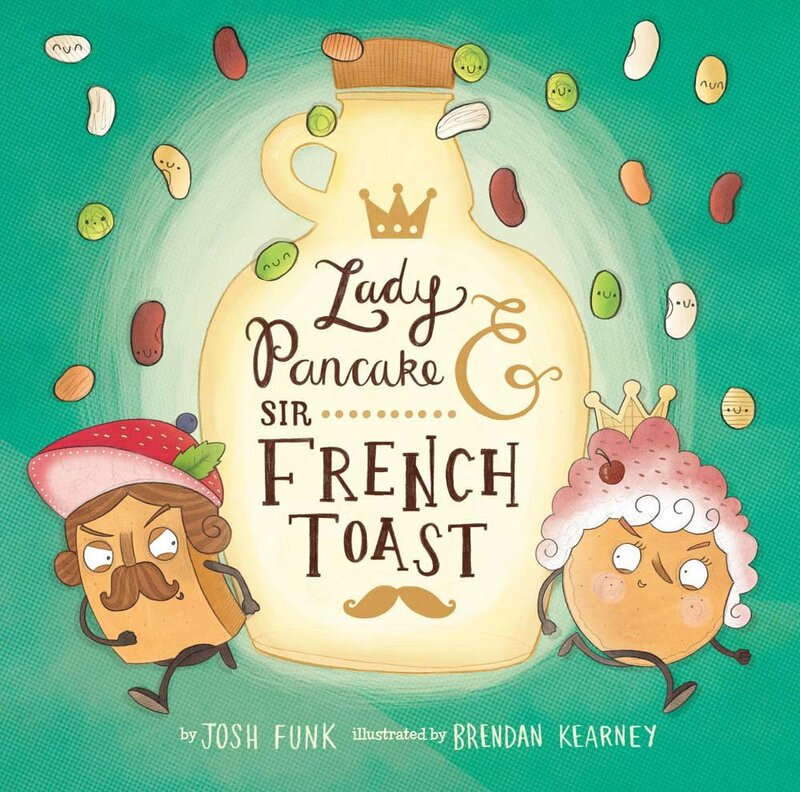 Besides rhyming words like "linguini," "legumes," and "avalanche," the story itself is told well—no awkward jumps or holes in the plot to make the rhymes work. Speaking of the story: it is definitely a cute one. I didn't predict the ending! It had me laughing out loud. And the illustrations! SO adorable! Each little morsel, down to the last pea, has a little face drawn on it. Plus, the race creates for some action-packed, dramatic scenes that Kearney illustrated wonderfully. I enjoyed the full-fridge look at the end, too, to trace the breakfast's path in the story. In the end, it didn't quite get the full five stars because the race felt a little long while the lesson in friendship felt a little short, but I still love it! Definitely recommended. The rhymes and exciting race make it perfect for storytime!